As waves of foreigners continue to leave Japan, the establishments they frequent certainly cannot be far behind. 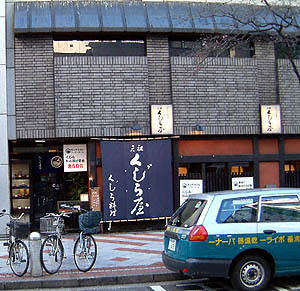 Potentially the most blatant effect of this is the breaking news that Fujimamas Resturant, a well-known and ostensibly well-patronized Tokyo institution for 11 years, has just shut their doors for good. This comes as a huge surprise to Tokyo Foodie as well as many in the Tokyo community, as Fujimamas always seemed too big to fail, after all Mark and Lisa decided to open a second location in Hawaii. One can imagine how much rent is in Harajuku though, and after initally closing just on Mondays, plummeting business meant that Fujimamas could just not sustain itself. Some in the Tokyo expat community point to Fujimamas perpetually stagnant menu as a prime example of what restaurants should avoid, after all, the restaurant was never quite as popular in Japanese culinary circles. Whatever the causes, we hope and know that other restaurants will take this as fair warning that in this cruel Darwinistic economy, only the best and most unique survive.